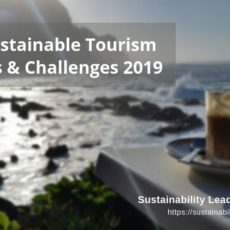 In this interview, Fran Hughes, Director of the International Tourism Partnership (ITP), shares her insights on the challenges and changes taking place in the tourism industry regarding sustainability. She explains to us ITP’s mission, how they work to achieve it, and what it takes to be a sustainability leader. The two crucial elements of a sustainability leader. Fran, when and where did your sustainable tourism journey begin – when did you discover your passion for sustainability? I think a lot of it can be traced back to my childhood. I was raised in a family which was very much about ‘make it and mend it’. My parents grew up during World War 2, when this philosophy was vital. It never left them, and the belief that we should use resources sustainably and not waste certainly rubbed off on me. Our family holidays always involved a lot of walking, cycling and enjoying nature, and we were always taught to see the good in people and places. And though we didn’t have so much at home, we were always taught to share and support those who had less. These factors taught me to be curious and considerate about the world and people around me. My first job was as an adventure tour leader for Explore; a job I loved and did for over 6 years. I don’t think I thought of tourism in terms of ‘sustainable’ and ‘responsible’ then; the terms hadn’t really been invented back in the mid-90s. But, we were highly conscious of the need to tread lightly on the planet, leave only footprints, respect and learn about local people and culture and put money into the local economy, so all the attributes of sustainable tourism were there. We just did it without putting a label on it. When I came to work in the office at Explore (I was Area Manager for the Middle East), the company was taking a more systematic approach to ensuring sustainability was embedded in the product and culture. I was interested, so I would put myself forward to lead on many of the initiatives. In the end, it became my full-time job! How has your view of sustainable tourism changed over time? Many people used to think that sustainable tourism was all about travelling to remote areas and exploring nature. It’s good to see a more holistic understanding has developed over time and that any kind of holiday anywhere in the world can and should be sustainable, whether you are staying in a city hotel, all-inclusive or game lodge. That’s a general observation. For me personally, I would say that I’ve learned a huge amount about the challenges people and companies face in addressing social and environmental issues. Understanding the structural, behavioral and economic challenges is essential if you want to succeed in delivering change, particularly with big companies. Change can take time. You can’t change the world overnight but a small shift can have a massive impact. And don’t let perfect be the enemy of the good. Get traction and build confidence through small steps. It is counterproductive to work otherwise. 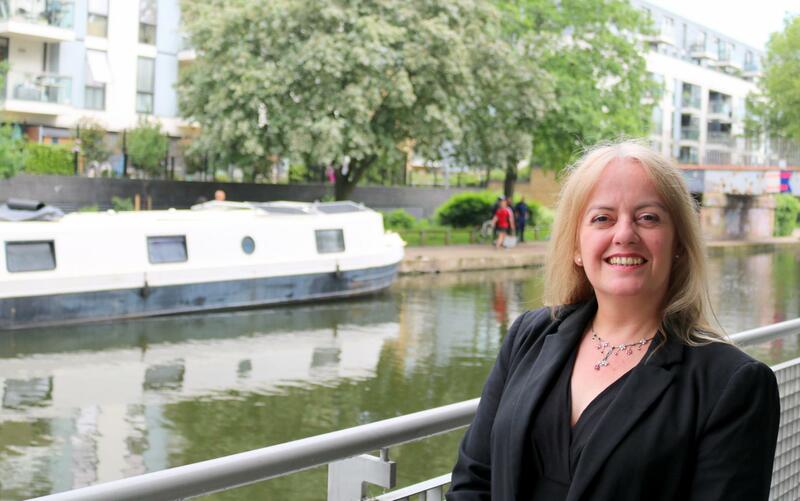 Your main insights as Director of the International Tourism Partnership? What exactly is your role there, and which achievements so far are you most proud of? ITP (the International Tourism Partnership) is a non-profit membership organisation whose members are hotel companies. We bring the sector together to collaborate on the key social and environmental issues the industry faces and to develop practical solutions to addressing these issues. I work with members to develop our approach and strategy on our key focus areas. I am really proud to work with such a committed group of companies who put aside competitive issues and work together to develop real practical approaches. Great examples of this are the Hotel Carbon Measurement Initiative (HCMI), where we brought 23 companies together to develop a common way to measure and report carbon emissions. This is now used by over 24,000 hotels worldwide. That’s no mean feat! We have carried that work forward to water and will be launching the Hotel Water Measurement Initiative on the 30th of August. I am particularly proud of our ability to engage stakeholders on behalf of our members so that we truly engage on issues, rather than pay lip service. I am also very proud of our Youth Career Initiative program, which recently won the prestigious Tourism for Tomorrow People Award. None of this would be possible without the engagement of our members, so these are their achievements as much as ITP’s. In your view, what are the main challenges that sustainable tourism initiatives such as the International Tourism Partnership face today? On top of our ongoing relationships with specialist organisations, we have undertaken extensive and formalized stakeholder engagement processes on a global level and also this year from an Asia-Pacific perspective. We cannot assume that we know what issues are the most material to our stakeholders. Carbon, water, human rights and youth employment have been identified as key impacts for the sector, and this is where we are currently focusing our attention. Human rights is an increasing focus, and we are having robust conversations on some of the most challenging issues for the sector. Watch this space for updates! How does the International Tourism Partnership contribute to a more sustainable tourism development? No other organisation brings the hotel sector together to collaborate in such a practical way on social and environmental issues. We provide guidance, resources and best practices to help individual hotels and hotel companies tackle issues themselves via our Green Hotelier online platform, but our USP is working with our members to identify where companies need to pull together to gain traction on key issues and develop common solutions. This is where we have real traction. Our membership represents over 25,000 hotels worldwide. Change on that scale has impact. Fran, you have led several sustainable tourism projects for The Travel Foundation. Can you tell us more about your role, the results and main challenges? I worked for the Travel Foundation as Program Manager for Gambia, where we were seeking to improve the economic impacts of tourism for local people and give them more ownership of the product. I learned a lot about project development and the need to measure and communicate impact. Most importantly, working on the ground in Gambia, I learned how it is essential to understand the needs and challenges of local communities when developing programs. Sensitivity to local issues and needs is key. It’s not rocket science – you just need to talk to people and not assume that all issues manifest themselves the same way in every context. A great result was to empower the local community in Juffureh/Albreda to manage the ‘Roots’ tour. The challenge was to break down years of animosity which had built up through a lack of centralized agreement and build trust that all could benefit from working together for a common good. It’s still ongoing, but we really have made progress. 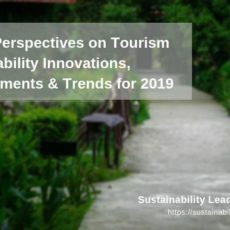 In your view, what characterizes (or does it take to become) a sustainability leader in tourism? Work in the industry. Get to know the challenges and opportunities from the inside. But don’t forget to keep abreast of the broader issues for business, be it through academic study or a close eye and engagement with other businesses, sectors, academics and thought leaders. The combination of these equips you with the knowledge and understanding you need to understand the challenges and be able to persuade businesses that sustainable development is the only real business option going forward. Which regions around the world would you consider leaders in sustainable tourism at the moment? Tricky! 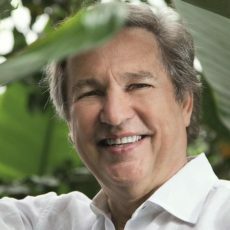 I know New York and Aruba are leading on encouraging business to address climate change, and Costa Rica makes sustainability a core product offering. Many cities like Barcelona and Ljubljana have developed strategic approaches. But, many regions are failing to join the dots and bring the sector and wider business and stakeholders together to address issues in their region. Learn more at the International Tourism Partnership here or connect with Fran Hughes via LinkedIn. Enjoyed our interview with Fran Hughes on sustainable tourism development and the International Tourism Partnership? Share and spread the word!